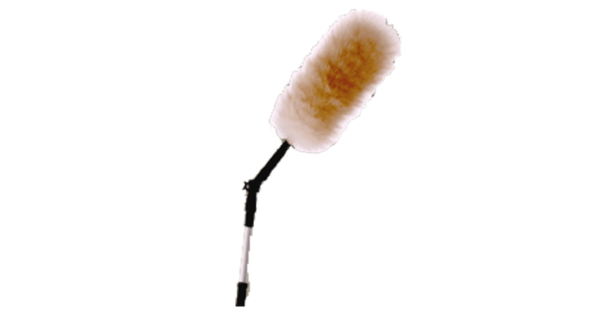 Genuine lambskin dusters contain natural lanolin which both attracts and holds dust like a magnet. 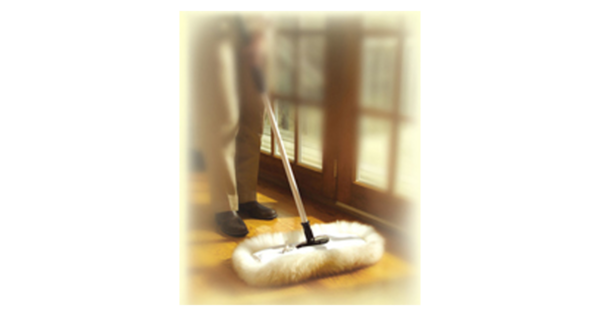 Ideal for venetian blinds, ornaments, chandeliers, bookshelves, dashboards, plant leaves, PCs and hard to dust places. 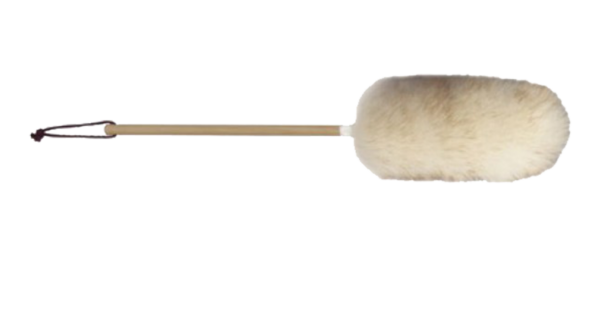 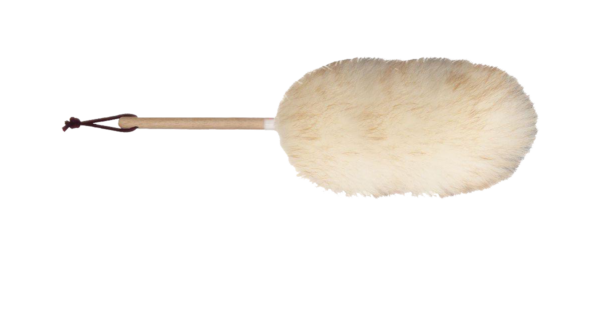 Used by professionals worldwide.The best way to shake out your sheepskin duster is to hold the handle between your open hands and roll the handle back and forth.